Sophie's garden is going to be gorgeous. The clematis on the fence should be stunning when it fills in and is in full bloom. 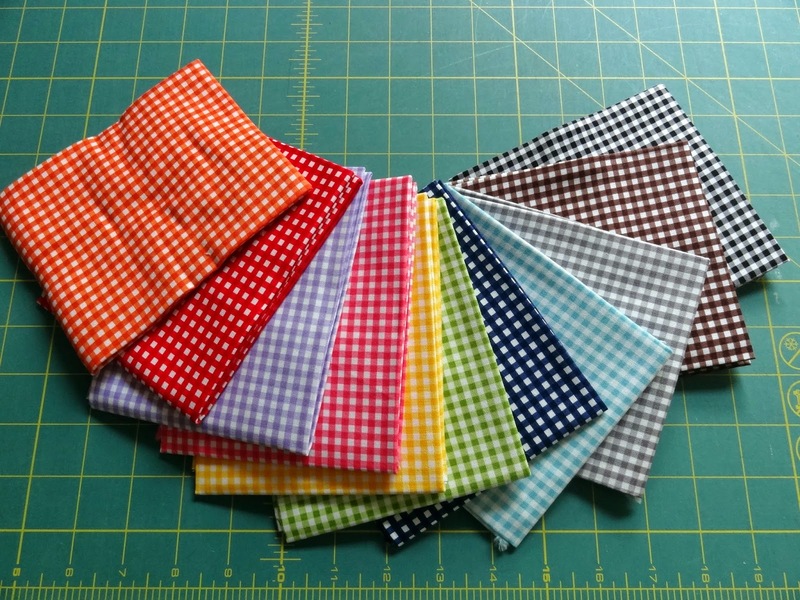 Yummy gingham! You should participate in Madam Samm's gingham hop in September. Sophie's Garden is a beautiful tribute to how much she obviously was loved. Love the gingham! Sophie's garden is so lovely, and I love the new hedge you planted too. You are such a busy lady and always do such beautiful things whether it's sewing or gardening or just anything. Love that gingham too, it's always just so fresh and pretty. Hugs!! Beautiful gardens, all. I love your clematis, very nice. I have one that's many years old and never performed well. I wonder if it needs to be taken out and put in deeper! Glad to hear you are feeling better and better! Glad to have you back. I was getting ready to send out the gen d'arms (sp?) for you. Love the yard and Sophie's garden. So nice. Oh the dreams that a garden named Sophie brings to mind...and the fabric just makes me giddy! You've been busy! 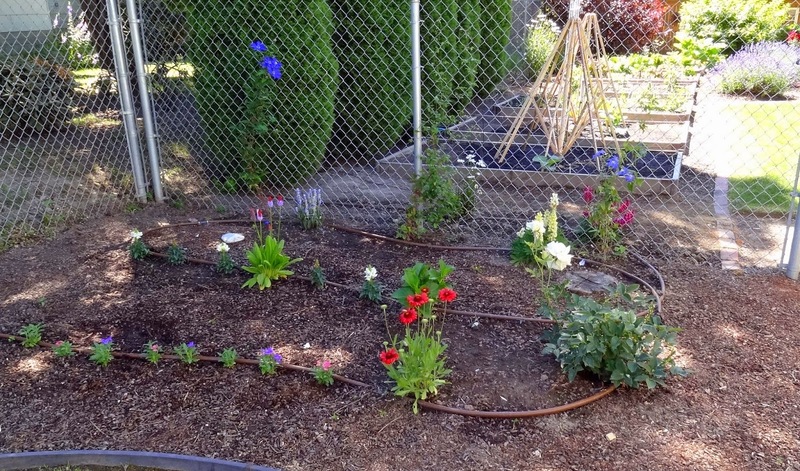 Sophie's garden and the rest of your yard is going to be great as things grow and fill in. It is always interesting to try to figure out why some things were done the way they were (ie the fence). You found a great solution for it. When I got married (on a hot August day) my bridesmaids had gingham dresses! What a wonderful space that corner will be to Sophie's memory. Have you tried Morning Glory on chain link? When I was on Rhodes, they had whole tennis court fences covered in it in purples mainly but there is a gorgeous red variety called Scarlet O'Hara. Happy gingham plotting! My school uniform was blue gingham in Summer- such a welcome change from the plain blue Winter one. Lovely garden for Sophie! Your new fabrics must be a great inspiration for a future project. Your garden, as always, is looking beautiful and Sophie's Garden will be a great tribute to her. I wonder if we so many of us love gingham because it was our summer school uniform so it meant that winter was over and soon school would be too? I always take a "second tour" whenever you post photos of your gardens. They are a work of art and devotion, Candace. Sophie's garden is a perfect tribute and will look gorgeous when it matures. I just bet that you're itching to get back sewing. I know the feeling! Sophie's Garden is just wonderful - love it! Snapdragons are one of my favorite flowers, my grandparents always had them growing in their yard - such great memories! Glad the girls did ok with a visitor. How have you been doing? Hope you are healing and almost ready for sewing! How sweet to plant a garden in remembrance of Sophie. 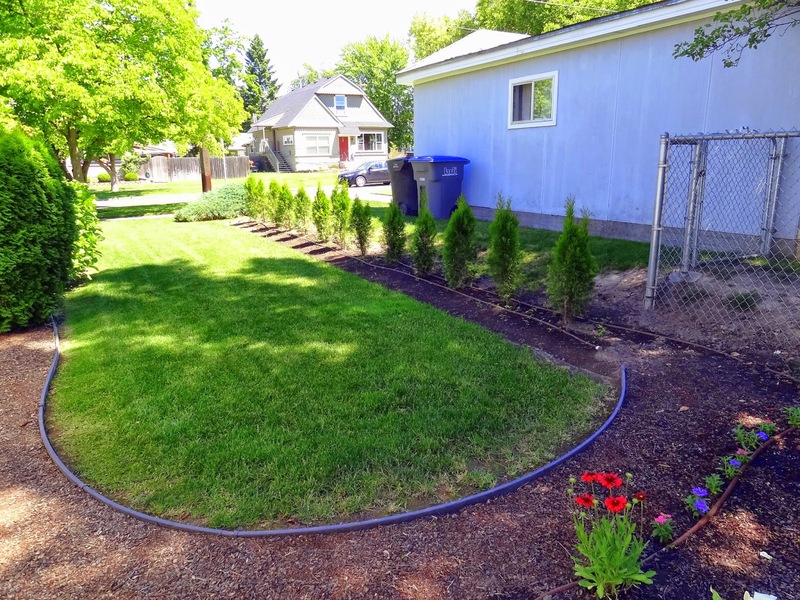 It is will be beautiful just like the rest of your yards. Been a while since I have seen Gingham. Sophie's Garden as well as the other new plantings are very pretty and will fill in nicely. Love the gingham also and can't wait to see what you come up with. I've been AWOL too, so many distractions at work and family health issues. Ugh! Sophie's garden is going to be very pretty with Clematis blooms and leaves covering the fence and all kinds of flowers on the ground. Adorable gingham! Those colors, yum!